Six settings for each day (3 on/off time zones). 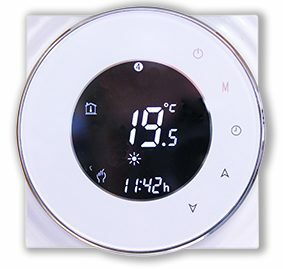 The Warmtoes RS Touch thermostat has a state of the art interface, Wi-Fi and echo voice control. There are 6 different settings per day. The program is Monday to Friday and separate settings for Saturday and Sunday. 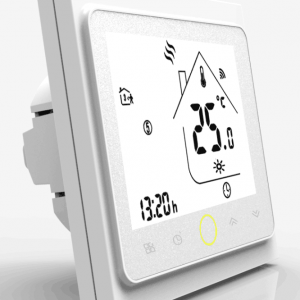 Our thermostat can monitor the air, floor or a combination of the two. If using the heating for floor heating set the thermostat to read the floor temp. If using the heating as a stand alone heat set the thermostat to read the temperature of the air. If using the underfloor heating under a wooden floor use both as you need to regulate the maximum temperature to 27 degrees C under a wooden floor. 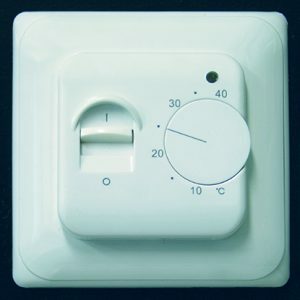 The thermostat also has a manual button so you can over ride the settings, giving you total control of your Warmtoes underfloor heating. Our thermostats are 16 amp so you can install the following m2 of each type on each thermostat.